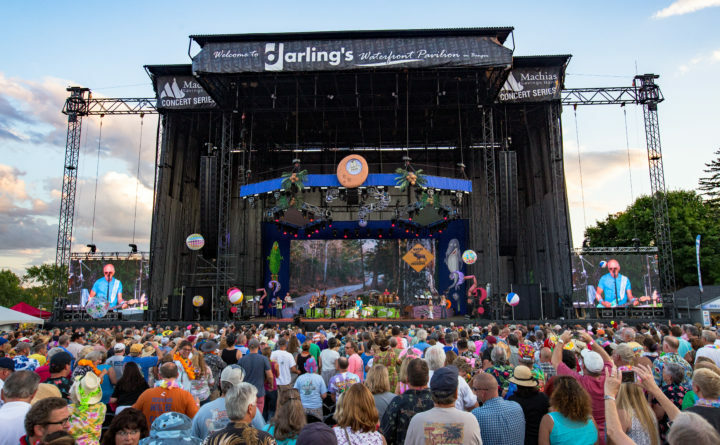 Jimmy Buffett plays a 2016 concert at the Darling’s Waterfront Pavilion on the Bangor Waterfront. Designs of the proposed permanent Darling's Waterfront Pavilion venue in Bangor. An inside view of the proposed redevelopment of Darling's Waterfront Pavilion venue in Bangor. A promoter who stages outdoor concerts in Bangor wants to build a permanent open-air venue on city-owned land, but only if officials will agree to extend his contract by decades. 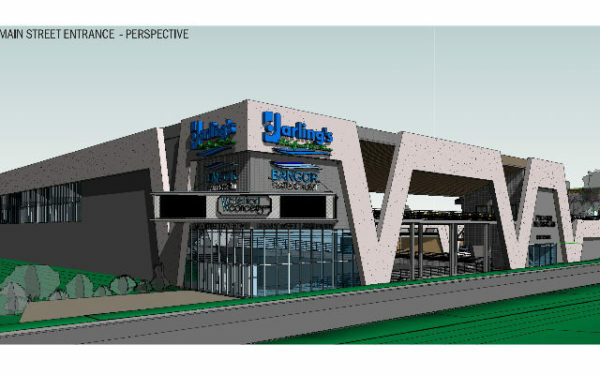 Alex Gray is in talks to build the structure around the Darling’s Waterfront outdoor concert venue, which would add permanent bathrooms, seating and upgraded security. But before he’ll invest in a permanent venue, Gray said he needs the city to extend the 10-year contract he signed last year, to 30 or 40 years. “We clearly need a much longer-term, much larger agreement,” Gray said. Gray presented his plan to officials at the City Council’s Business and Economic Development Committee meeting on Tuesday. 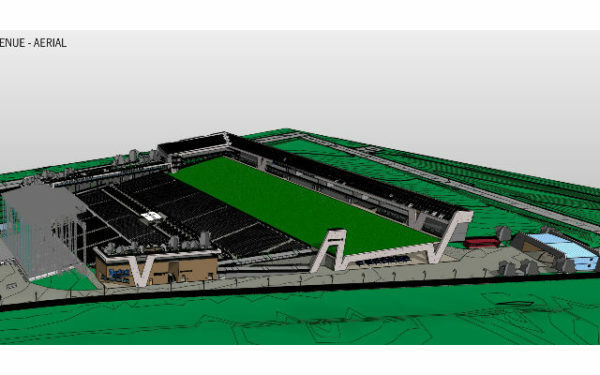 The project, which Gray estimates will cost $17 million to $19 million, would add a permanent stage, seating, concessions and VIP areas. It would also add three more secure entrances to the venue — currently there are two — cutting down on time fans will spend waiting in line, he said. The new venue would be able to accommodate 17,000 patrons, 3,000 more than it can currently hold. Waterfront Concerts and Live Nation — an entertainment conglomerate that Gray hires to book artists — will pay for most of the project, but the city is likely to invest in some of the groundwork infrastructure at the site, Bangor City Council Chairman Ben Sprague said. A council vote to fund or sanction the new project has not yet been scheduled. This will be the first time Gray and the city pursue a new joint endeavor since he pleaded guilty in October to a domestic abuse charge. The month before, Gray signed a 10-year contract with Bangor to host concerts at the outdoor venue on the Penobscot River. Building out the existing bare-bones infrastructure was always part of the plan, he said. The city last summer ordered Gray’s company to stop building a 16-by-30-foot wooden structure intended to cover metal detectors at one of the entrances after it failed to get a permit. Councilors, who will discuss the project further in the coming weeks, appeared to be on board with Gray’s plan. 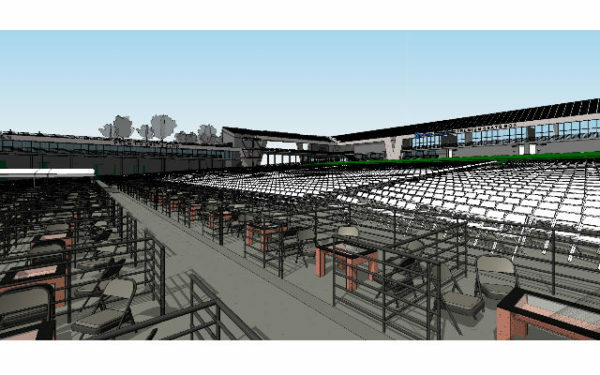 Plans for the new venue also include an emergency command center for first responders and law enforcement, who would be on hand to respond to emergencies, including an active shooter, Gray said. Without the upgrades, it could be more difficult to attract higher-profile acts, said Bob Duteau, vice president of booking for Live Nation.